Choose from 40 hotels and guest houses in Suffolk. Shown below a just a selection of the hotels available. To search within an area please use the menu on the right. Close to the Port of Felixstowe and just 0.5 miles (0.8 km) from Felixstowe Railway Station, this family-run hotel offers free Wi-Fi, free parking and en suite accommodation. The Brook Hotel has a new, tastefully refurbished reception area, an air-conditioned restaurant and a bar with a TV with Sky Sports and Setanta Sports. The restaurant is open from Tuesday to Sunday for dinner and from Thursday to Sunday for lunch. The restaurant offers tasty food, with a carvery offering a choice of cooked meats and traditional vegetables with all the trimmings. There is also a lounge and patio area. All of the en suite rooms have tea/coffee making facilities, a trouser press, a telephone and a flat-screen TV with Freeview digital channels. A range of specially selected toiletries is included in each room. The hotel is close to Ipswich and the Suffolk Coast is within easy reach, as is the Essex countryside and Constable Country. Situated on one of the prettiest squares in the country, opposite the Abbey Gardens, is the historic and award-winning Angel Hotel, dating from 1452. Angel Hotel offers traditional Georgian elegance and charm, mixed with modern design. The hotel has been visited by kings, queens, actors and writers. One such guest was Charles Dickens, who mentioned the Angel Hotel in The Pickwick Papers. In the lounge, choose from Italian cappuccinos or the finest English teas. With its log fire, it is a popular meeting place for the townspeople. The hotel has had a ?2m refurbishment and extension, and was awarded the 'Best Large Hotel' title by East of England Tourism (2008). At the edge of the market town of Sudbury, this traditional family-run local pub offers en suite accommodation, a friendly atmosphere, free Wi-Fi and free parking. 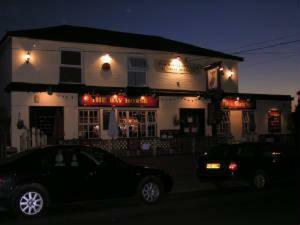 The Bay Horse is within walking distance of Sudbury's town centre and is situated on the main Bury St Edmunds road, the A134. The Bay Horse is run by your hosts, Charlie and Micaela, who pride themselves on offering a relaxed, friendly atmosphere and comfortable en suite accommodation. 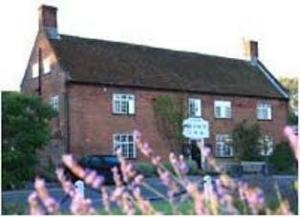 The rooms are located to the rear of the pub, separate from the main building. Each room has a TV with Freeview digital channels, a hairdryer and tea/coffee making facilities. Free Wi-Fi wireless internet access is available throughout. At the front of the pub, there is a covered and heated patio area for the cooler nights. There is also a substantial garden at the back of the building for the warmer summer days. The pub hosts live music every Saturday night. R&R Motel is a Grade II listed Victorian town house set close to Lowestoft's sandy beach and walking distance from the town centre. There are 12 well-appointed guest rooms, 6 of which have en suite facilities. Guests can make use of a communal kitchen area. The R&R Motel has extensive facilities for the disabled, and child-friendly family rooms. Ideally situated, family-run Hill Lodge Hotel is a 5-minute walk from Sudbury town centre, providing the perfect base from which to explore the Suffolk countryside. An inclusive full English breakfast is available for guests in the private dining room and residents may also enjoy a drink in the relaxing lounge bar. 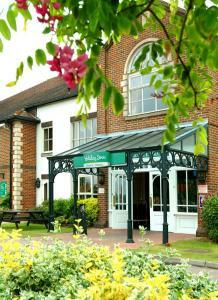 Hill Lodge Hotel offers comfortable, well furnished rooms, with en suite facilities and a TV. Free parking and free Wi-Fi internet access are available for guests. 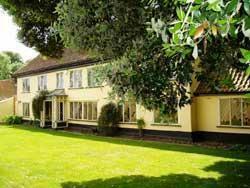 This stunning hotel sits amongst green gardens and fine trees in the heart of Woodbridge, Suffolk. The beautiful countryside is perfect for walking, and the nearby lake for fishing. Enjoy the charming and well decorated rooms, the indoor swimming pool, the spa, gym, and the free wireless internet. The hotel's restaurant serves excellent food, and the building and surrounding area invite you to relax and pamper yourself. Right in the centre of Ipswich, this modern 3-star hotel has a relaxed Brasserie restaurant and offers comfortable accommodation at great-value rates in spacious, newly refurbished rooms. The Novotel Ipswich Centre has a superb location, just a short walk from the town centre's shops, the waterfront development and the newly opened University Campus Suffolk. Portman Road, the home of Ipswich Town Football Club, is just 650 metres away. With soft background music and a relaxed and informal atmosphere, the hotel's Garden Brasserie offers a wide variety of dishes, including options for vegetarians and those with special dietary needs. The open-plan bar has a large-screen TV and offers drinks and light meals. Up to 2 children (under 16 years) can stay free (with breakfast) when sharing a room with adults. This includes access to video games, baby equipment and a healthy children's menu. Families also get late check-out on Sundays (until 17:00). 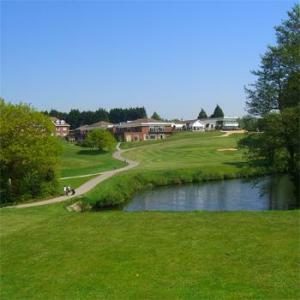 Ufford Park is the perfect location for both the business and leisure visitor with its impressive leisure complex, an 18-hole par 71 golf course and versatile function /conference rooms. Stay in this modern hotel and choose the comfort and luxury of premier, superior or standard bedrooms, many having balconies overlooking the golf course and some with jacuzzi baths. Relax in the lounge or sample refreshments on the spacious bar terrace. Take advantage of the wide range of conference and function facilities, catering from everything from a 200 delegate gathering in the Deben Suite to wedding receptions, specialist and senior management meetings. Relax in the extensive leisure club which includes a deck level pool, sauna, steam room, solarium, jacuzzi and gymnasium. There is also a beautician and hairdresser on site. In addition to these facilities, there is a 2 tier, 32 bay floodlit driving range open to all. Enjoy the new luxury Thermal Suite and Spa, where there is a hydro-pool, soft-sauna, mineral grotto and aroma steam room. In 4.5 acres of beautiful gardens on the border of Essex and Suffolk, this beautiful 15th-century inn offers charming and well-appointed accommodation and an award-winning restaurant. With open fireplaces and traditional wooden beams, the White Hart still boasts many beautifully preserved original features. The inn is a blend of traditional charm and modern comforts and facilities. The rooms are located in a separate block, away from the main building, offering a quiet and secluded area in which to enjoy your stay. The d?cor is soft and inviting and each room has a flat-screen TV and tea/coffee making facilities. Free wired internet access is available in every room. The restaurant has held an AA Rosette award for the last 3 years for the outstanding preparation of its food and the good quality of the ingredients it uses. All of the food is made using the best seasonal ingredients available locally, including meat, game and vegetables sourced from local suppliers. This converted and refurbished watermill offers chic, elegant and stylish accommodation in an idyllic 12-acre countryside setting near Newmarket and Cambridge. With its exposed beams and water wheel, Tuddenham Mill offers a unique environment with an air of sophisticated comfort and luxury. The modern rooms have over-sized beds, Bose sound systems, flat-screen TVs, walk-in showers and Jo Malone toiletries. In the restaurant, contemporary menus offer fresh food and local produce. Enjoy a light snack by the mill pond or a traditional Sunday lunch with a twist. Service is discrete yet attentive and friendly. Set in lush countryside, Brome Grange Hotel is surrounded by delightful gardens and screened from the convenient a140. Situated between the historic market towns of Diss and Eye, it's an ideal location for business travellers or a relaxing break. The hotel has ample car parking adjacent to all rooms, which are all at ground-floor level. Comprised of 21 courtyard bedrooms, our characteristic interiors offer every comfort. The hotel is non-smoking, but there are designated outside covered areas for smokers. There also is a separate cottage with ground floor sitting room, bathroom and kitchenette and a large 1st floor bedroom that can, if required, accommodate 4 single beds. Visitors are greeted by a warm welcome from owners and staff. 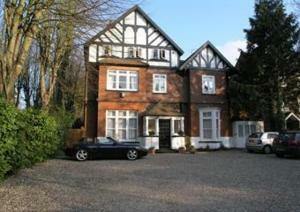 This large house has 5 luxury serviced apartments a short walk from Newmarket town centre. Each apartment has a full kitchen with breakfast items, and a lounge with free Wi-Fi. 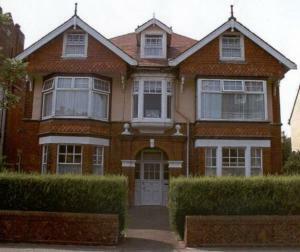 Each apartment has special features including Egyptian cotton bedding, a selection of DVDs and free off-street parking. In the morning you have views of local racehorses being exercised. 1st Place Newmarket Apartments is a 5-minute drive from Tattersalls, stud farms and the Rowley Mile and July racecourses. Newmarket Train Station is 5 minutes away. Cambridge, Ely and Bury St Edmunds are in easy reach. Lowestoft Premier Inn is just north of the town centre, close to Pleasurewood Hills Theme Park and the sea, and very convenient for a journey on the A12. On site are free parking and a popular Beefeater restaurant and pub, where you can enjoy freshly cooked and char-grilled food. 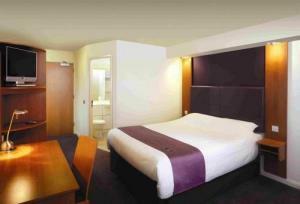 Some of the very comfy rooms at Premier Inn can take 2 adults and up to 2 children (under 16 years). The 2 children also get a free full breakfast when accompanied by an adult eating a full breakfast. The full all-you-can-eat breakfast has the expected cooked items, including vegetarian sausages, as well as a wide continental selection. This privately owned historic country house is set in private gardens and offers warm hospitality and high standards of service. The Best Western Priory Hotel is an ideal getaway from the frenetic pace of modern life. The hotel offers good value for money, without compromising on quality. The award-winning Garden Restaurant has a long-standing reputation for formal, yet relaxed, dining. The hotel also offers a wide range of room service and bar meals. There are limitations on dining facilities from the last week in November through to the end of December, although the hotel will endeavour to meet your requests. Keep in touch with friends and colleagues during your stay by making use of the wireless high-speed broadband in all public areas and rooms. Parking is free and the hotel offers spaces for up to 60 cars, behind the walled enclosure. Grove House Hotel is a small, friendly and family-run, situated on the outskirts of the beautiful market town of Woodbridge, Suffolk. Grove House has en suite bedrooms, a bar and restaurant, and plenty of free parking. The hotel is located within easy reach of Woodbridge and all of the Heritage Coast. The Grange Hotel, an attractive Tudor style country house hotel, lies in Thurston in the heart of Suffolk. The hotel is set in its own secluded gardens amidst open countryside, offering a warm, friendly, relaxed atmosphere. We have 5 chefs preparing fresh food for the Garden Restaurant and the more formal Adam Room. Both restaurants offer superb a la carte lunches and dinners, which are complimented by wine from an award winning list. The Lounge Bar opens onto the terrace and garden and offers fine local beer, spirits and wines. In the summer months you can sit out on the terrace enjoying your drink, overlooking a well-maintained garden. If the weather is unsuitable to have a drink outside, the Lounge Bar offers excellent seating in a very comfortable, well-decorated and spacious lounge. The Grange has recently obtained a licence to hold civil wedding ceremonies and we can accommodate parties from 4 to 80 for the ceremony, and up to 110 for the reception. This modern award-winning hotel offers style and comfort where it matters and great-value rates. Days Inn Haverhill offers a choice of quality rooms, including king-size doubles, workzone doubles, twins, disabled access and family suites. The hotel has a comfortable lounge and bar area with a large TV. The Days Inn Haverhill is located close to Cambridge, Duxford, Newmarket and Bury St Edmunds. The hotel was Days Inn UK Hotel of the Year 2007. Enjoy a tranquil Broadside setting and beautiful country gardens at this hotel hidden away at the end of a leafy driveway. The hotel's restaurant is located within an attractive 18th century thatched barn overlooking the gardens, where you can enjoy imaginative and freshly prepared dishes made with fine, local produce. Rooms are individually designed, and conveniently located for the sights of Oulton Broad. The hotel has easy and direct access to the main road. Providing comfortable, good value accommodation, Premier Inn Ipswich South East is near Ransomes Euro Business Park and close to the beautiful countryside of Orwell Priory Park. Some of the comfortable rooms at Premier Inn can accommodate 2 adults and 2 children (under 16 years). The 2 children are also served a free full breakfast, when accompanied by an adult eating a full breakfast. The full all-you-can-eat breakfast includes cooked items, vegetarian options and a wide continental selection. Premier Inn Ipswich South East is next to The Swallow Brewers Fayre restaurant, serving pub favourites in a welcoming environment. There is free parking and a 24-hour reception at this Premier Inn. Dating back to the 14th-century, the hotel displays the traditional character of an English country house, enhanced by fine furniture, carved door-frames and mantelpieces and art pieces connected with the history of Southwold. The Swan, like Southwold itself, is a place to discover - tranquil yet bustling with local life. The Swan has been the heart of Southwold social life for centuries, and the life of the hotel revolves around the peaceful Drawing Room, a perfect place to chat or read, or just to watch the world go by over an English cream tea. Or you can catch up with local gossip over a pint of Adnams in the Bar, before taking a brisk walk along the shore to work up an appetite for dinner. The refined yet relaxed environment and friendly staff guarantees a most comfortable stay. Some of the bedrooms in the main hotel offer a glimpse of the sea, whilst the garden rooms are clustered around the old bowling green. Situated in 300 acres of countryside on the edge of the Dedham Vale and just off the A134, this hotel is approximately 20 minutes' drive from Colchester and Ipswich. Stoke By Nayland Hotel offers a choice of excellent dining facilities, Peake Spa & Health centre, and two 18-hole championship golf courses. There is also a driving range with 20 covered bays. Free Wi-Fi is available throughout the hotel. There are conference and banqueting facilities for up to 450 people and free car parking for up to 350 cars. Stansted Airport and London are one hour's drive away. Providing comfortable rooms with luxury power showers, the Premier Inn Ipswich (Chantry Park) is 3 miles (4.8km) from the centre and has free parking and easy access to the A12/A14. Some of the rooms can accommodate 2 adults and 2 children (under 16 years). The 2 children are also served a free full breakfast, when accompanied by an adult eating a full breakfast. The full all-you-can-eat breakfast includes cooked items, vegetarian options and a wide continental selection. Premier Inn Ipswich (Chantry Park) is next to The Beagle country pub, serving pub classics with a modern twist, in a welcoming atmosphere with open fires.